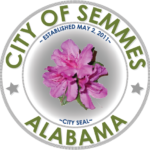 Did you know we have an Art Guild in Semmes? Mary Ellen Ward Art Guild was founded in 2010 to promote art and to provide an opportunity for local artists to come together with like-minded people. It is named for a beloved teacher who taught at Wilmer School, Semmes High School, MGM and Faith Academy. Her love affair with art began in 1948 and continued until her death in 1998. She is remembered for her devotion and encouragement to her students. Semmes has an Art Gallery The Semmesonian, located in the Semmes Public Library, founded by Mary Rodning, a well known artist living in Semmes. The Semmesonian provides an opportunity for artists to show their work. Lori Noeland a guild member is the volunteer curator.